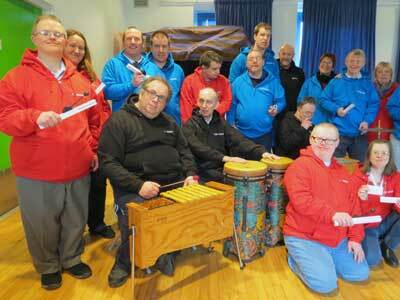 Xylosound is a music group of adults most of whom have special learning needs. We make music, perform and run music workshops. We play xylophones, flute and percussion instruments with accompaniment from accordion and fiddle. We have recorded CDs and published a book, Our Tunes. We are based in Huddersfield, West Yorkshire.